We love pickled mustard greens too! Do you know the dish served with pork and pickled mustard greens? I love that one. Over hot rice, it's so good. 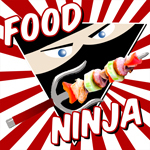 Your taste buds are just right; just have to wait until everyone else's catches up. 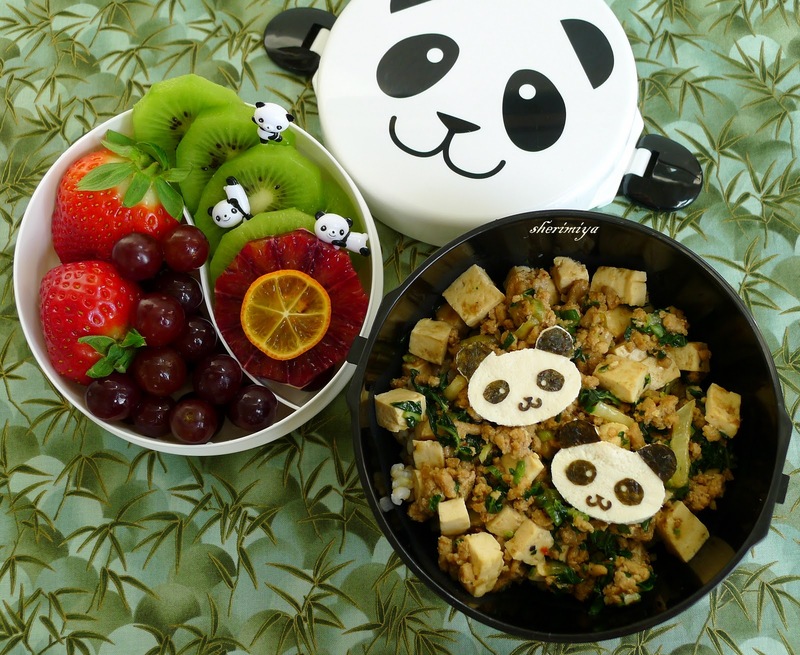 Those tofu panda friends are too cute!! are you using firm tofu or extra firm? Thanks Lina! Firm works great for us. Wooot! Yuzuquat? Mandarinquat? They are so cute!!! No chance for me to see any of those here... not even "normal" yuzu... Sometimes I wonder how did I end up at this place XD. Pandamonium is just great! My girls also enjoy mabo tofu as long as I don't put much of anything (HA! tofu sauce maybe?) and I hope when they get older they will love these types of food as much as I did when I was a child. I wish I could send you the seeds to grow; you would be the hit of Finland! I love these hybrid quats for their cuteness - they are a bit tart though. 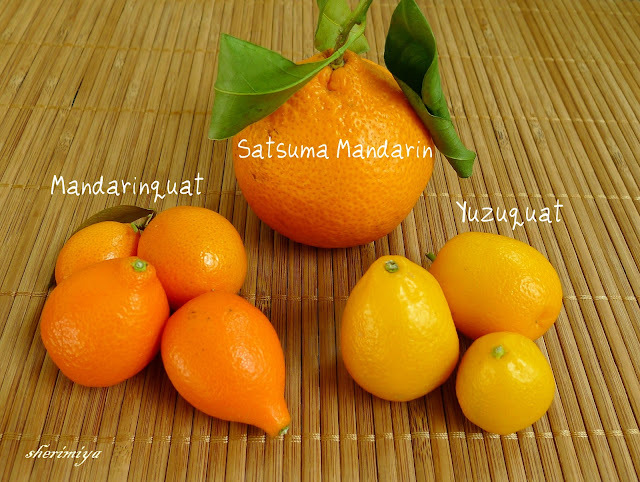 Thanks for uploading the yuzuquat and mandarinquat picture. It makes it easier to visualise the fruits. Never seen any of those around here though. And as I said on twitter, that box is not only magical by its roundness but also by its cuteness. I love your new threaded comments too. I'll have to look up how to implement those. That's so sweet Ceinwyn; thank you. All those little quats are too cute, aren't they? If you have blogger, you should have threaded comments set up too. It's very handy. Mm, is there rice underneath? Looks soo good! I've seen these gorgeous mandarinquats at the grocery store but the labels are mostly in french. And I don't bother reading them. lol. The title of this bento is just as creative as the bento itself! Love it! You know there's rice underneath! Gotta have it. That's great that you have these fruit over there. They're probably from Florida so pretty close by :) Thanks dear! Ooooh! I wish I could have a bite! :) We used to have a kumquat tree in our backyard when I was a kid. I would climb the tree and eat them until my tongue went raw, lol. Are you serious? I can't believe you didn't find them too tart! That kumquat tree must have had the cutest fruit; you're so lucky you can grow citrus where you are! Sheri, Love the Panda friends as well as craving for Ma Bo tofu now ! Do you use the Sweet Bean Paste? Just omit the spicy? My daughter doesn't do any spice, but I love love me some mapo. Becky, that's exactly what I do. But every time, I try to put just a little bit more the spicy bean paste in there as well. Hopefully they'll become accustomed to it because I love love lurrrrve me some mapo too!